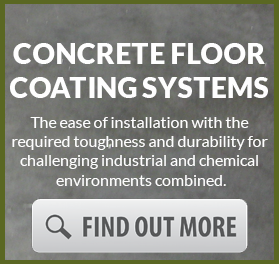 The best fast acting, densifier and hardener for new and old concrete surfaces. 1 Gal Concentrate that makes 4 gallons & 5 gal concentrate that makes 20 gallons. This product is concentrated and should be mixed 3 parts water to 1 part product. Shake product before mixing with water. Stir the concentrate and water together for 30 seconds with a mixing drill and paddle. 300-700 ft2 per gallon (7.3 -17 m2 per liter) depending on porosity of concrete. High porosity concrete will be on the lower end and polished low porosity concrete will be on the higher end. Use a low-pressure pump sprayer. Be sure to shake product right before putting into sprayer. Use a conical tip that sprays .05 to .15 gallons per minute. Spray with the tip1 to 2 feet above the surface and use a circular motion to achieve an even application. Spray enough product to achieve an even look of saturation. Keep the surface wet for a minimum of 15 minutes, applying additional product when necessary to keep surface wet. Allow surface to dry completely. This usually takes less than one hour. If concrete seemed porous on the first application, you may wish to apply a second application to achieve optimum formation of calcium silica hydrate. 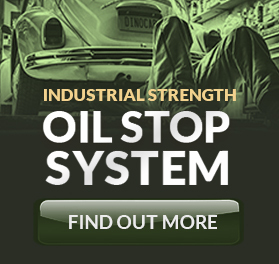 When using product in conjunction with polishing, it is best to apply the product at 200 or 400 grit. If desired, CoverColor Concrete Stain should be applied prior to the application of hardener. 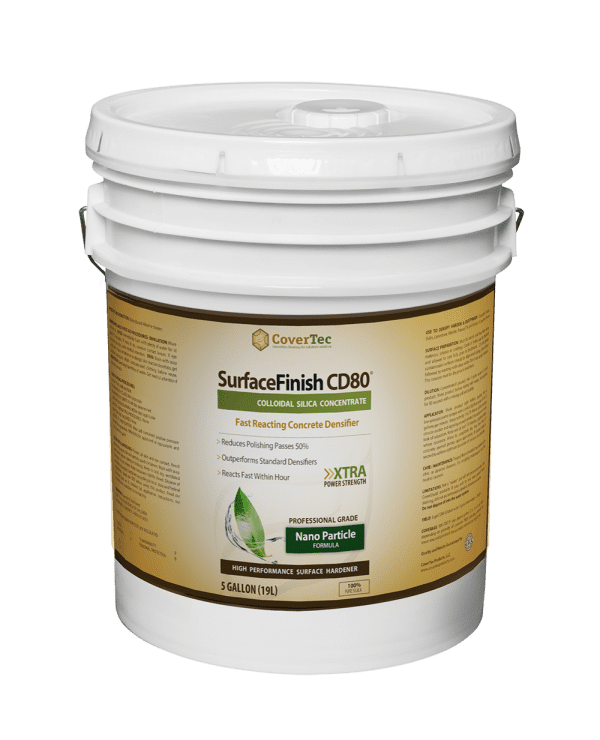 A second application of CoverColor Concrete Stain may be used to achieve a richer color in the concrete after the SurfaceFinish CD80 has been applied and is completely dry. Will not accommodate dynamic movement cracks. Do not dispose of into the water system.